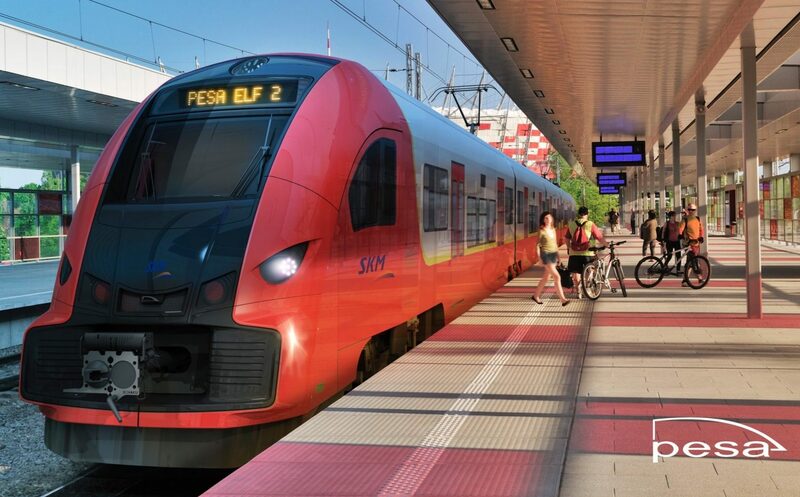 Polish rolling stock manufacturer PESA has received an order for 21 second generation ‘Elf’ trainsets from Szybka Kolej Miejska (SKM), a rail operator in Warsaw. Elf is a platform of electrical multiple units manufactured by PESA. Elf stands for electric low-floor. The first of the new rolling stock – eight five-car and five four-car trainsets – will arrive within two years of the contract award. The remaining eight trainsets – seven five-car and one four-car – will be delivered by the end of 2023. A driving simulator, employee training and 15 years of maintenance is also included in the deal. Warsaw deputy mayor Renata Kaznowska said that the contract, which is valued at 310.5 million zloty (∼€72.4 million), is the largest purchase in SKM’s history. A promotional video of PESA’s Elf 2. She added: “The new trains will significantly increase the transport capacity of the company and will allow the launch of further agglomeration connections, including to Piaseczno and Ożarów Mazowiecki. As well as the free wifi, the new trains will come fitted with air conditioning, a “modern” passenger information system, USB chargers, defibrillators and be adapted for disabled passengers. Following the completion of modernisation works at the Warsaw Railway Node, the new rolling stock will allow for trains during peak hours to be extended and the launch of new connections. SKM has gone from transporting 3.6 million passengers in 2006 with one line served by six trains to transporting 23.08 million passengers on four lines with 28 trains in 2017. The contract for the new trains was signed on May 21. Photo: SKM.